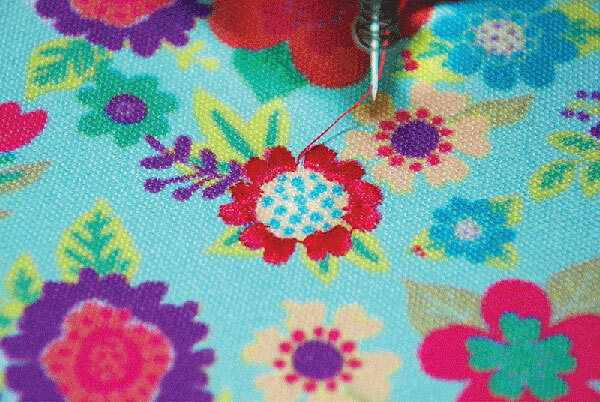 Key Features: Embroidered & hand embellished. 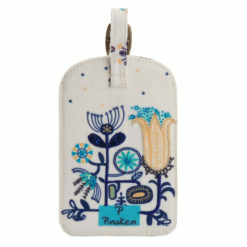 Pinaken’s Monday Blues two zipper pouches are made for giving you life and sorting your small issues of holding the toiletries and other small products at one place. 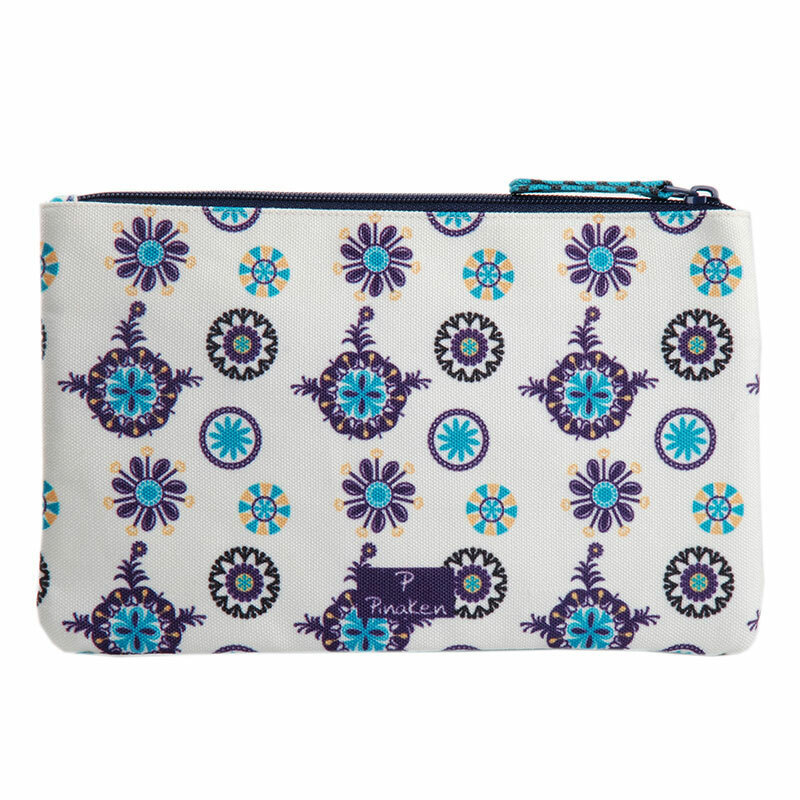 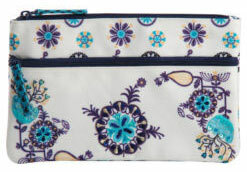 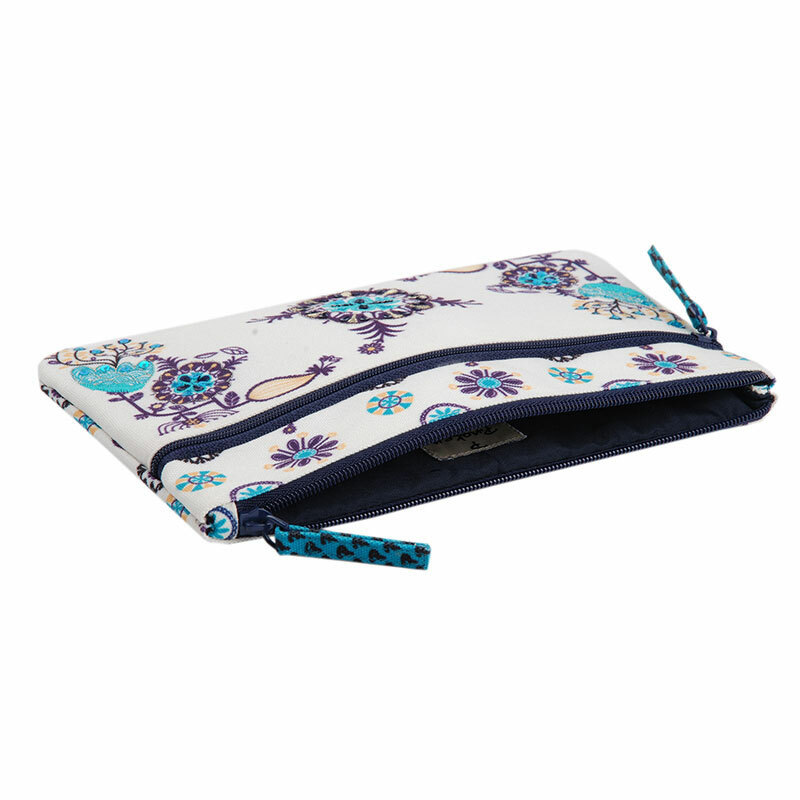 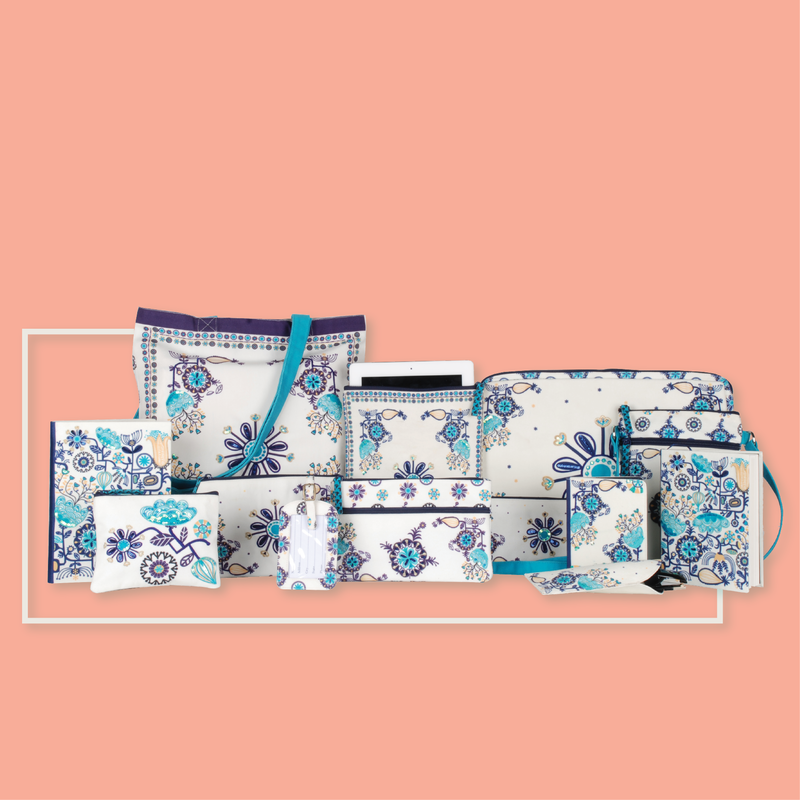 It is a beautiful Monday Blues zipper pouch that comes with two compartments and zip closure. 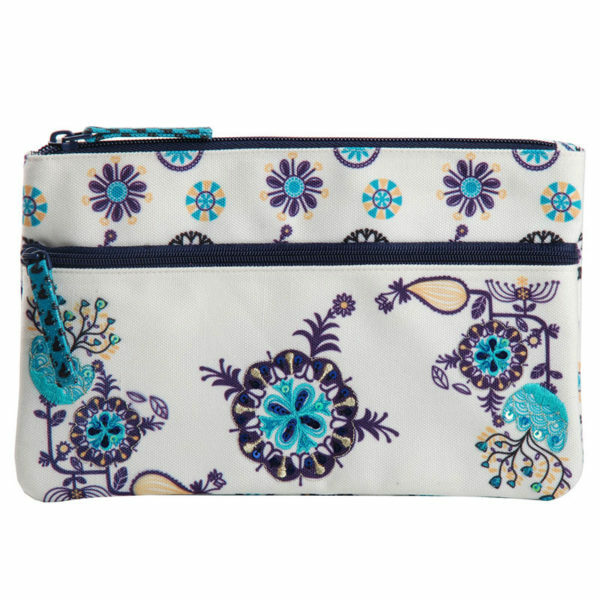 The size of the zipper pouch is decent enough to not disappoint you. 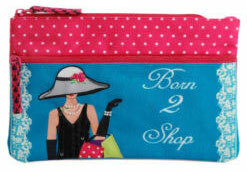 You can keep your cosmetics, coins, cash, toiletries, stationeries, cards, and a lot of other things whatever you like. 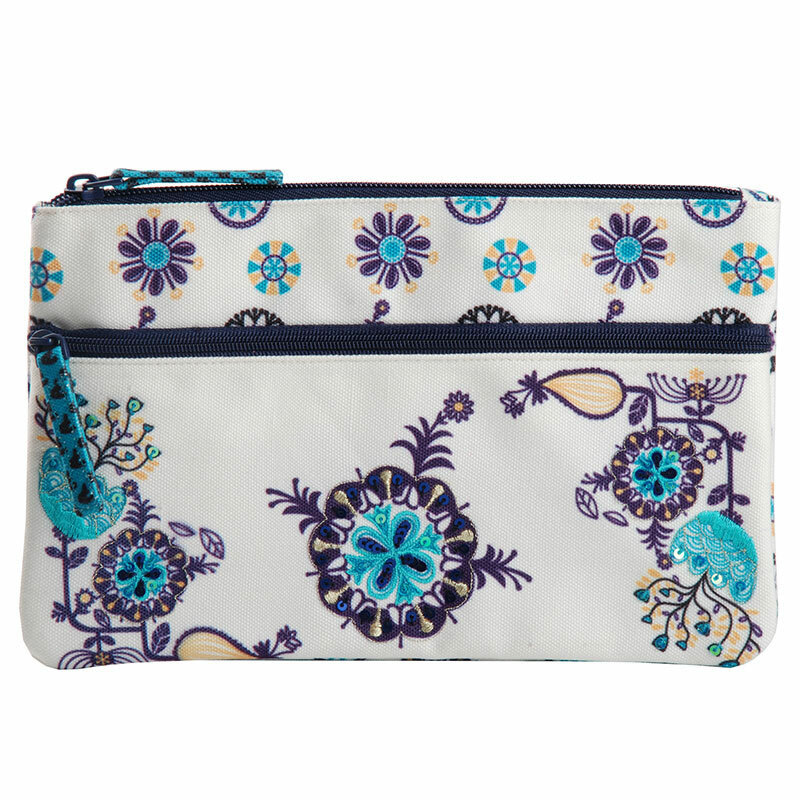 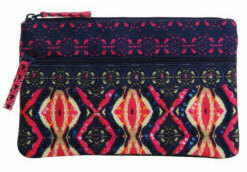 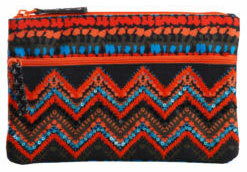 The best part of this pouch is that it can be used as a purse, pouch, wallet, or a case. 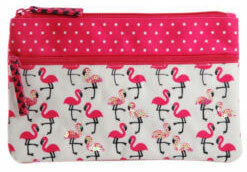 It looks totally pretty with that pink polka dotted colour base. 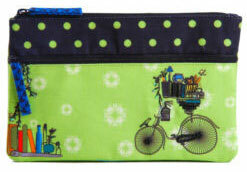 It is easy to carry to places and gets fit inside your purse and bags. You can just take it with you whenever you are on the go. 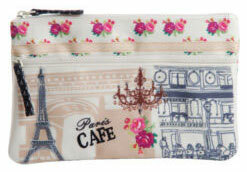 It can be surely your travel partner in which you can carry a lot of essential items. 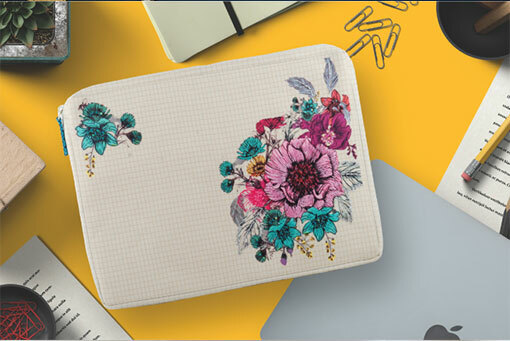 The fabric of the card wallet is canvas which makes it totally durable, long lasting, and immensely flexible. 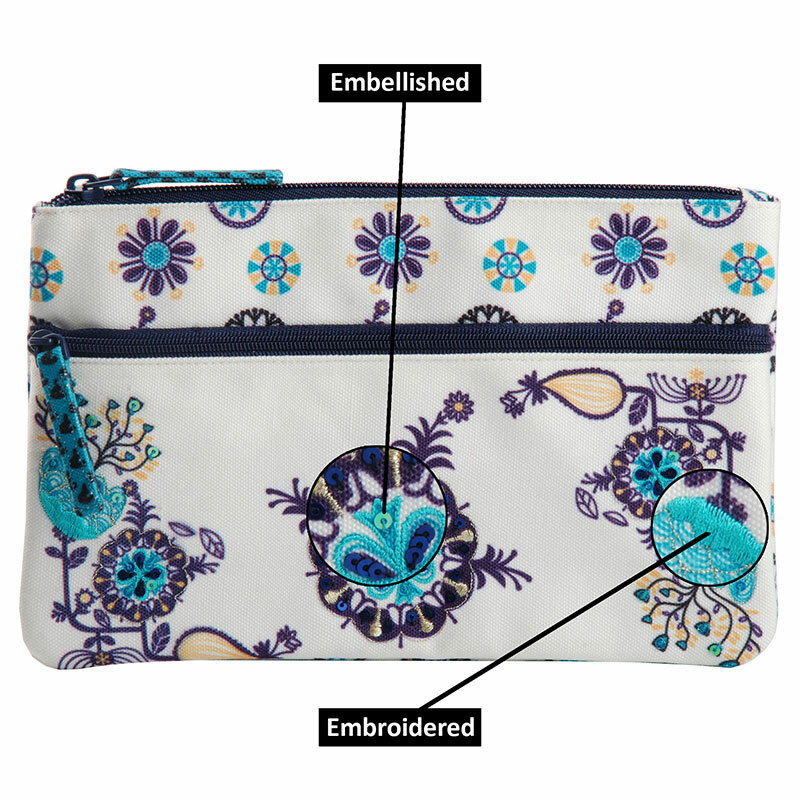 You can easily clean the pouch and wash it anytime with water and mild detergent because of its fabric. 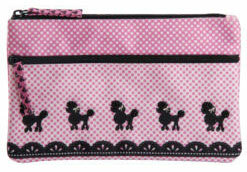 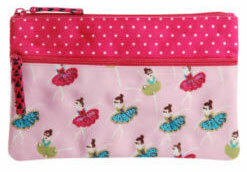 The designs on the pouch are of cute ballet girls dancing. 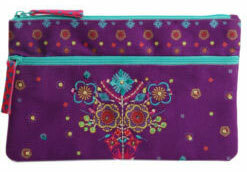 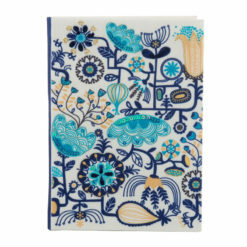 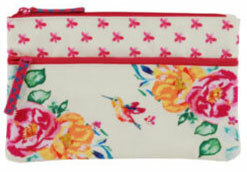 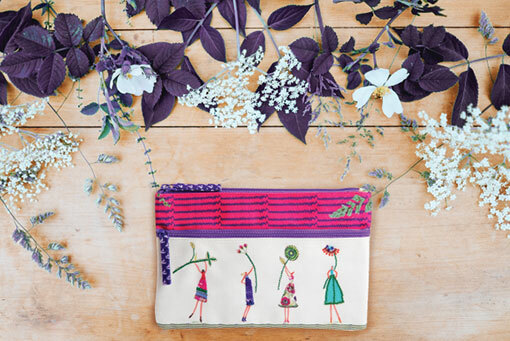 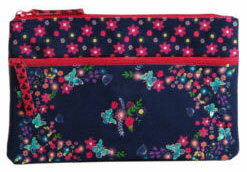 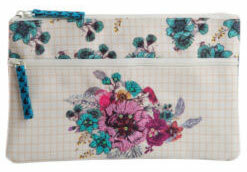 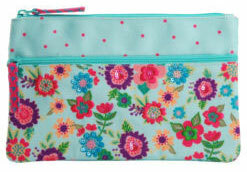 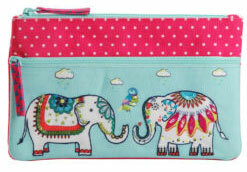 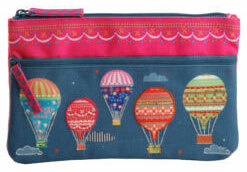 It is a colourful pouch and is hand embellished and embroidered. 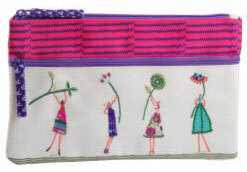 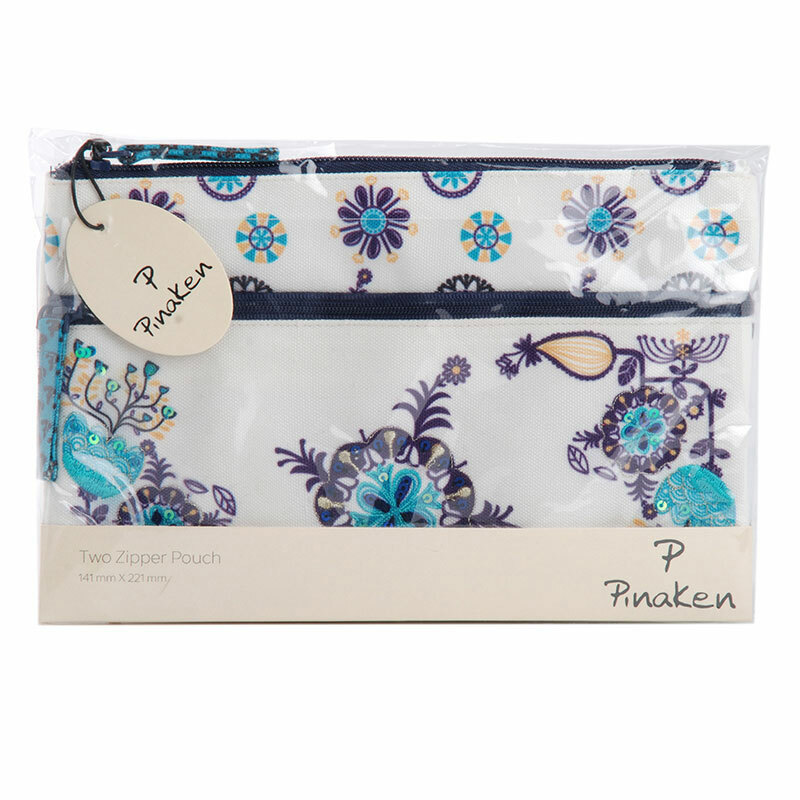 Pinaken’s Two Zip Pouch makes life simpler and stylish for all ages. 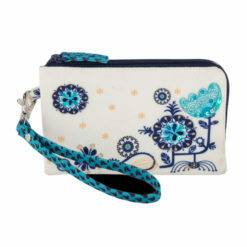 The product can be used to hold toiletries and other small items such as cards, coins, and cash. 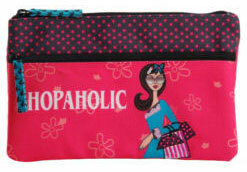 You can use it as a pouch, case, purse or wallet. Made from canvas material, the zipper pouch is durable, flexible and long-lasting.